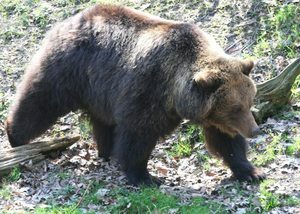 In the Bear Forest brown bears, that have been mistreated and abused, are offered an untroubled and bear-friendly life again. 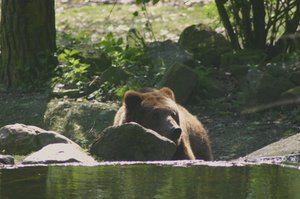 Here they can enjoy two hectares of forest with a waterfall, a small stream and a pond. A unique project! 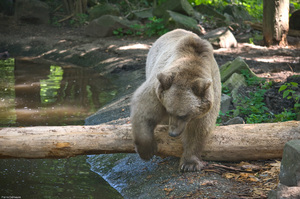 In the Bear Forest the bears' wild habitat is used as an example to stimulate the bears' natural behaviour. 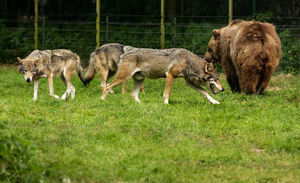 For years the inhabitants were joined by a pack of wolves, animals that coexist with bears in the wild. 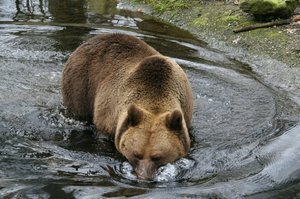 They receive a highly varied and seasonal diet, based on what is available in nature throughout the year. 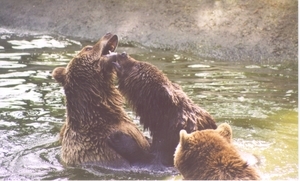 This is known as our Natural Feeding Programme. 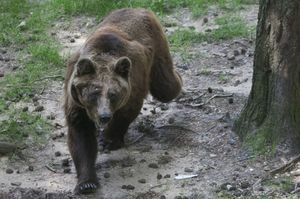 The Bear Forest project started in 1993 and is the first bear sanctuary of its kind in Europe. 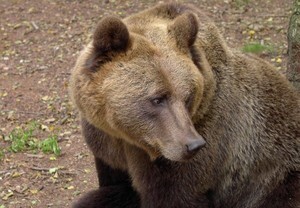 At the moment 10 brown bears are living in the Bear Forest, each with their own tragic history. 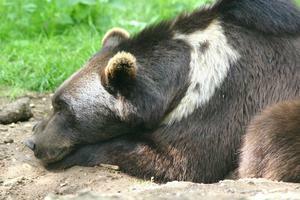 In total 30 bears have lived in the Bear Forest since it first started. Read more about the former residents here.